Tom Krupenkin is Associate Professor, Nanotechnology Cluster and Mechanical Engineering, University of Wisconsin-Madison, Madison, Wisconsin. He received a Ph.D. in materials science from Moscow Institute for Physics and Engineering, Moscow, Russia in 1992, and a Ph.D in physics from Case Western Reserve University, Cleveland, Ohio in 1996. From 1998 to 2007 he was a Member of the Technical Staff at Bell Laboratories, Lucent Technologies. 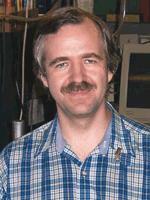 Prior to that, he worked for two years at the Materials Research Laboratory, University of California, Santa Barbara. He holds over 50 US and international patents and has authored over 35 publications. His current research is focused on physics and chemistry of nanostructured surfaces, NEMS/MEMS devices, and physics of liquid-solid interfaces. Dr. Krupenkin has served as a principal investigator for a number of extramural programs funded by federal agencies (DARPA, DOD) and industry (Northrop, GE, mPhase, Lucent). 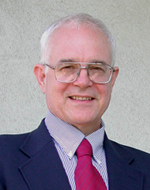 He has received numerous professional awards and distinctions including the American Chemical Society Industrial Innovation Award (2007) for his work on tunable nanostructured surfaces; the Excellence in Research Award (2005) and the Energy Storage Enabling Technology of the Year Award (2006) for his work in Nanomembrane Battery; and the Emerging Technologies Award for his work in Microfluidics in Photonics (2003). His research has consistently attracted substantial media attention including articles and news pieces in New York Times, Scientific American, ABC News, Nature Materials, Physics Today, Science News, and New Scientist. J. Ashley Taylor received his BA in mathematics at the University of Texas in 1971 and his Ph.D. at the University of Houston studying photoionization of gaseous molecules. As a Postdoctoral Fellow, also at the University of Houston, he investigated the reactions of ions with surfaces. He then joined Perkin-Elmer, Physical Electronics Division conducting surface analysis (XPS and Auger) for many different applications. In 1984 he joined AT&T Bell Laboratories in Allentown, PA where he conducted many different studies characterizing materials used for the manufacturing of integrated circuits. In 1994 he moved to Orlando, FL to develop dielectric plasma etch processes for the Bell Labs VLSI Process Development Department. In 1997 he was assigned to SEMATECH in Austin, TX as the Project Manager for the Damascene Dielectric Etch Project, establishing joint projects with other semiconductor companies and tool vendors to implement low-k dielectrics as a part of integrated circuit processing. In 1997 he returned to Orlando, FL, now Agere, to develop plasma etch processes for low-k dielectric materials. In 2002 he joined the research team in Bell Laboratories in Murray Hill as part of the New Jersey Nanotechnology Center, a state-of-the-art clean room facility used to process optical MEMS devices, some of which were part of DARPA projects. He has 20 years of integrated circuit processing experience and is an author of over 40 publications and 7 patents with numerous others pending. 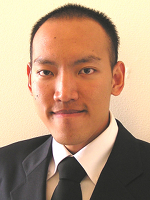 Supone Manakasettharn is a Ph.D. student in Mechanical Engineering at UW-Madison. He received his M.S. from UC Berkeley and his B.Eng. from Chiang Mai University, Thailand, both in Mechanical Engineering. His research interests are in the field of micro/nanoengineering, MEMS/NEMS, micro/nanofluidics, micro/nanostructures, liquid-solid interaction, electrowetting, lab-on-a-chip, self-assembly, optical tweezers, and energy harvesting. Devin F. West is a senior majoring in engineering physics. When he graduates in May of 2010 he plans to pursue a Masters degree in mechanical engineering. 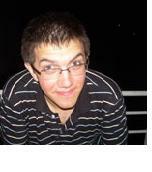 He has been with the micro and nanofluidics reserach group since spring of 2008. His interests include environmental sustainability, nanotechnology, and Kendo. He is a member of Tau Beta Pi and Theta Tau professional engineering fraternity.